Okay. Now, I know, it may seem like, at this point, I have a problem. But its not a problem. Unless awesome taste is a problem. And I don’t remember it ever being a problem. The Dresden Files is way healthier than drugs anyways, so I win. 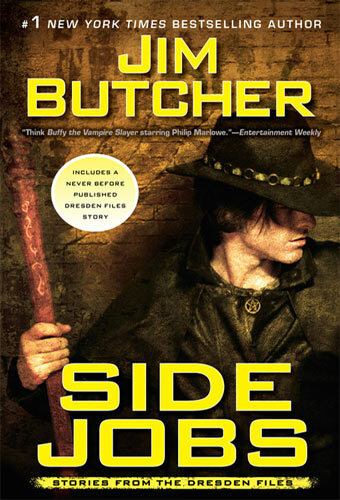 In this unnecessary but totally unavoidable BONUS article, I shall talk about the side projects by Jim Butcher. But do not misconstrue “side projects” to be anything other than the utmost excellent of quality. These are materials that help float Dresden fanatics from book to book. Because the wait… oh its a bad trip, peeps. 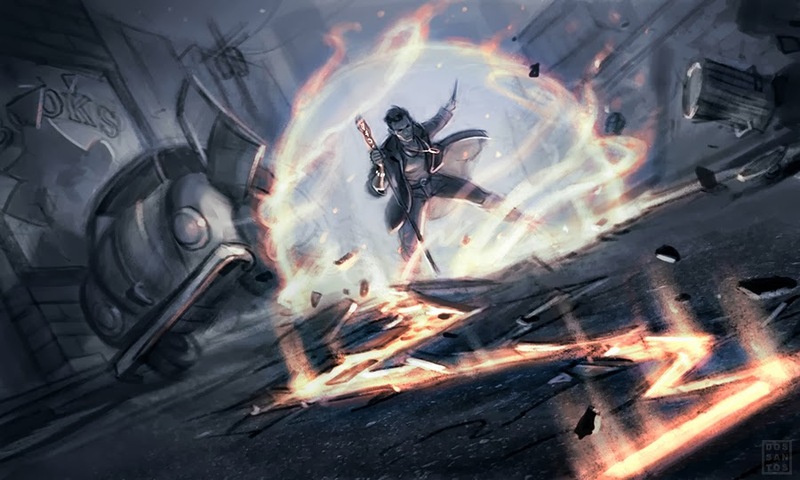 “Backup,” a novelette set in Jim Butcher’s ultra-popular Dresden Files series. This time Harry’s in trouble he knows nothing about, and it’s up to Thomas Raith to track him down and solve those little life-threatening difficulties without Dresden even noticing. This is a cool little ditty because its one of the few collaborative creations that Jim Butcher has ever put out. 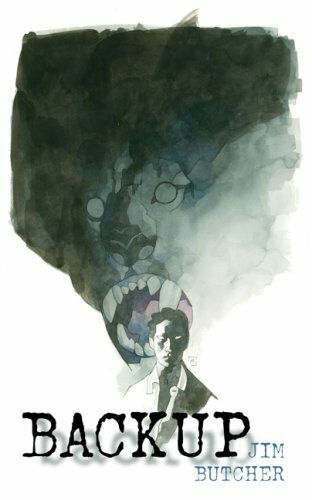 In Backup, Butcher teams up with Mike Mignola to create a little novelette. What’s cool about that, is that Mignola does little illustrations throughout the book. 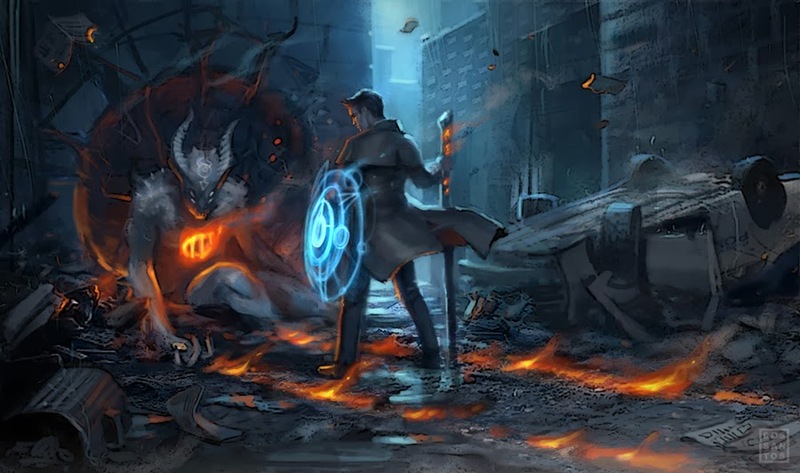 This is especially rad if you, like myself, saw some awesome similarities between the Dresden Files and the Hellboy universe. Though the one drawback with that, is that I want Harry Dresden and Hellboy to team up on an adventure. I think they’d actually like each other a lot, and grab a beer together. Back to Backup! The story is short and sweet. You don’t need a lot, but you end up wanting more, because the whole story is told through a different first person character other than Harry Dresden. It’s through Thomas Raith’s, Harry’s White Court Vampire buddy’s, point of view. Which is cool, because we get more insight on the world of Dresden as a whole. A fun read! Here, together for the first time, are the shorter works of author Jim Butcher- a compendium of cases that Harry and his cadre of allies managed to close in record time. The tales range from the deadly serious to the absurdly hilarious. Also included is a new novella that takes place after the cliff-hanger ending of the Changes. This is a must-have collection for every devoted Harry Dresden fan as well as a perfect introduction for readers ready to meet Chicago’s only professional wizard. NATE SIDE NOTE: Backup is also in Side Jobs, but without the Mike Mignola illustrations. This is a great collection of stories, running the gamut of funny, interesting, scary, or all of the above. You even get at least two different point of views that aren’t Harry Dresden’s. These are well worth reading, and helped me through some rough patches of waiting for the next Dresden book. Tell Us Your Story. Beneath the “normal” surface of the world are things and people which most of us don’t want to know about, and will do our best to forget about if we ever come near them. People won’t see what they don’t want to see. But that’s most of us. And you-you’re not most of us. What’s Your Story? 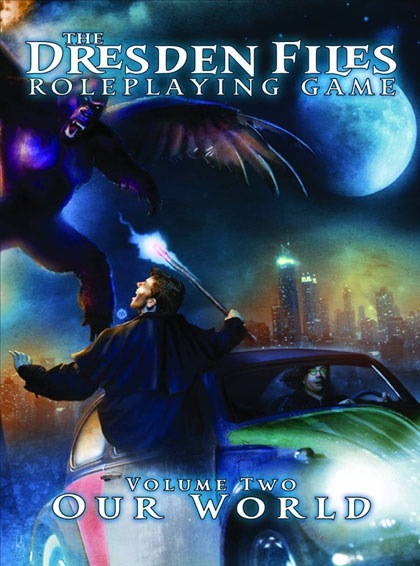 Whether you’re a champion of God, changeling, vampire, werewolf, wizard, or plain “vanilla” mortal human being, this volume of The Dresden Files RPG gives you all the rules you need to build characters and tell your own stories in the Dresdenverse. Inside, you’ll uncover the secrets of spellcasting, the extents of mortal and supernatural power, and the hidden occult reality of the unfamiliar city you call home. 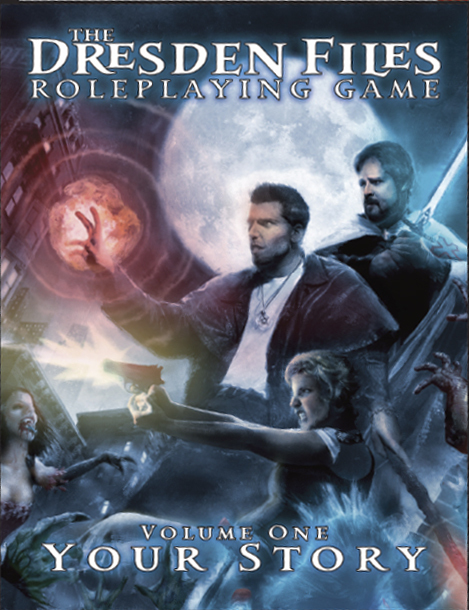 Okay, now this and the following RPG book are for a very particular crowd. I am a member of that crowd, which is to say “Role Play Gamers.” I gather other like-minded friends, and we pretend together. Yeah, I know, said like that its very strange. But believe me, its a lot of fun, especially with the right group. Want to know some really cool news? This is my favorite RPG. Not just the story and world its set in, which is really amazing because D’UH, but because of the system of game play. This system allows for just about any character, no matter the complexity or type. This system is a breeze to play and really fun to boot. And some more really, really cool news? Jim Butcher was HEAVILY involved in the making of the RPG books. Why? Because he is a big RPG nerd, just like me! Step Into Our World. We are wizards, cops, mechanics, werewolves, doctors, fairies, mobsters, reporters, holy warriors, and vampires. This is the Dresdenverse. This is Our World. This book is to help world build and character build. It informs you on monsters, and stats and a million things you need to know to make a world and game that works well. But more importantly, it has a short story by Jim Butcher. Much like this entire article, the Our World RPG book is just a great bonus for any fan. So there you have it! Some bonus content on a bonus article. This was all like a very lazily hidden Easter Egg, where I got too excited to wait for you to find it and I just ended up giving you the damn thing. But you’re welcome! NATE SIDE NOTE: As of this article, there are four (4!) more Dresden Files short stories in print. They are scattered in different anthology books, but I anticipate a second volume of Side Jobs (maybe call it More Gigs?). A fifth short story is also in the works. One last piece of awesome art for ya!